Home to the City of Gold, Gauteng province is South Africa’s economic and cultural hub. Gauteng casinos are a marvel to behold and can compete with the best internationally. Usually with luxury hotels attached to them, Gauteng casinos have something for everyone. Let’s take a look at some of the best casinos in Gauteng. This carnival-themed casino is located in Brakpan on the outskirts of Johannesburg. Operated by Sun International, it has a world class casino that has 1 750 slot machines and a variety of table games including specialty games like double-zero roulette, baccarat, and lunar poker. Furthermore, for those looking for more than just the gambling experience, there are a number of great restaurants. There is also the Magic Bar with live magician entertainment and the Carnival Bar that features live performances. You can also spend the night at their luxury hotel room and relax at their spa. 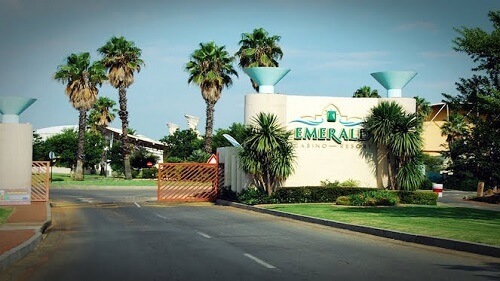 Emerald Casino Resort, owned by Caesars Entertainment, is a luxurious casino and resort in Vanderbijlpark. With more than 430 slot machines and 22 roulette, blackjack, poker, and baccarat tables, this Gauteng casino provides for every level of gambler. Earn points through their rewards programme that gets you discounts on stays in their luxury hotel. Similarly, you can unwind at the Breeze with some live entertainment or dine at their renowned restaurants. Branded as the entertainment and leisure capital in Gauteng, Emperors Palace casino is truly fit for royalty. It is located in Kempton Park, near OR Tambo International Airport. Firstly, its casino has 1 724 slot machines that range from 1 cent to R500. They also have 67 table games with roulette, blackjack, poker, and midi punto banco. Emperors Palace also hosts some of the best shows at their entertainment venues. Finally, they have four different luxury hotels to choose from and a luxury day spa, all operated by the Peermont Resort group. Located in Ormonde south of Johannesburg, the Tsogo Sun run casino is very popular in Gauteng. Opposite Gauteng’s only theme park Gold Reef City, the casino is a vast complex with something for everyone. Open 24 hours/day with highly trained staff, this casino 1 700 slot machines and 50 tables. They also have a highly rated hotel for those who want to spend the night, and a fine dining experience at the Back O’ the Moon restaurant. 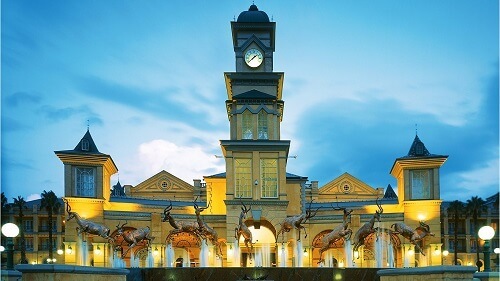 Located in the upmarket area of Fourways, north of Johannesburg, the Tuscany-themed Montecasino is a very popular casino for locals and tourists. Operated by Tsogo Sun, the casino boasts more than 1 860 slot machines and 70 table games for every pocket. It also is the seat of world-class entertainment with international acts performing at the Teatro regularly. The complex has cinemas, dozens of restaurants, and boutiques for those who want to do some shopping. Head west of Johannesburg and you’ll find the Westrand’s premier entertainment destination. The Silverstar casino has 900 slot machines and 32 tables divided between the main floor, smoking area, and the exclusive Prive. Operated by Tsogo Sun, know that your experience at Silverstar will be grand. There is also an entertainment centre with a cinema, bowling alley, and restaurants. For those looking to unwind, their award-winning spa is worth a visit. Finally, you can spend the night at their luxury hotel. 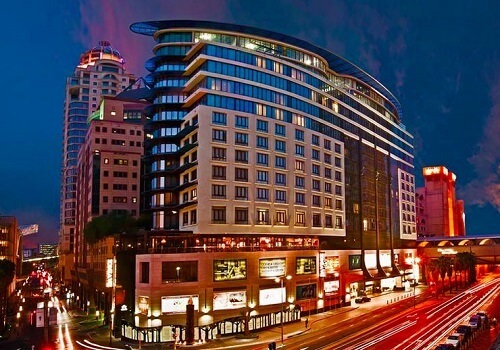 Located in the Da Vinci Hotel on Mandela Square, Sandton, this casino is for the urban elites. 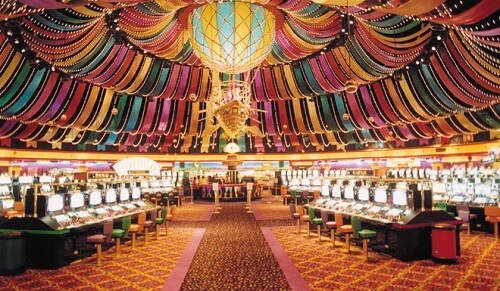 There are over 800 slot machines and some popular table games. For those looking to unwind, there is a lounge bar in the casino where you can get the finest cocktails. Furthermore, you can stay in the upmarket hotel with a spa and gym. You can also walk around and take in the trendy art all around the hotel. Opened in 2018, Time Square is the latest addition to the Sun International group. The casino is world-class and spans two floors. 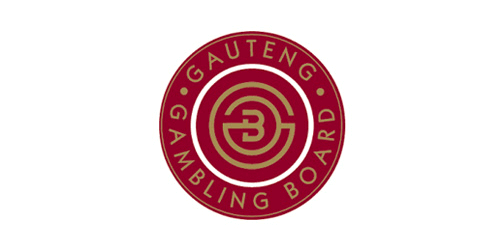 There are over 2 000 slot machines and 60 tables, making it the largest of Gauteng casinos. It also hosts some major entertainment events and guests can spend the night at the five-star Maslow Time Square Hotel.